Acme Lighting Showroom has been around since 1968. There’s a reason why we are leading experts in the industry. Our associates are some of the friendliest people you will meet. We literally enjoy each moment with our customers in choosing the right finish, style and size of lighting. 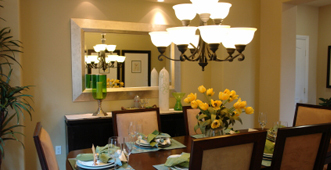 Let us inspire and motivate you with fresh new lighting ideas that will fulfill your home design dreams. We will be partners in helping you select lighting that will be both beautiful and useful. World-class quality – unmatched service. Keep in mind that Acme Lighting also does in-store repairs. Need a custom order? We can handle that, too. Let Acme Lighting Showroom be the team you choose. Come by our location or call today at 561-746-7191.